The Girl in the Spider’s Web is the name of the novel, but I’m sure most people simply think of it as “the fourth Millennium novel.” As I understand it, the publisher and Lagercrantz agreed that he should use the same characters and settings, but he got free reigns when it came to the story. I think that was a wise decision. I had lowered my expectations, and I think the story is ok. It’s a bit of big brother is watching, some programming and a savant. It’s ok but I am not “wowed” and I get a feeling that there are already similar books out there. But…he has inherited the characters and that makes all the difference. 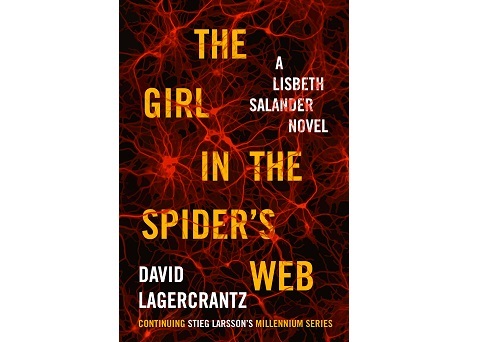 Stieg Larsson’s characters led by Salander are phenomenal and that elevates the story. The most exciting thing in this novel is Lisbeth’s sister. Stieg hinted about her in the earlier novels, and it’s undeniably interesting. One good and one evil sister, that paves the way for full-scale war. Some people may not like that all the characters are very “either or” (black or white), but I like it. A bit of comic book feeling is never wrong in my book. Everything does not have to be that realistic all the time. If you liked the three first novels you’ll probably like this one too. Just like with Harry Potter you want more. Stieg Larsson is gone, but this alternative works too. I don’t know if another author would have done a better job or not. What I miss is a certain stylistic sophistication. The first three novels are all thrillers, but the first is also a whodunit, the second a cop story and the third a spy novel. It would have been fun if Lagercrantz would have continued to play with the criminal genres. I suspect he held back in fear of not following Stieg Larsson’s spirit. He is forgiven, but for the next novel (because surely there will be another one?!) I hope he lets loose. After all, the characters are doing most of the heavy lifting.